Justin Atkins is the third FLW Tour rookie to win the Forrest Wood Cup. 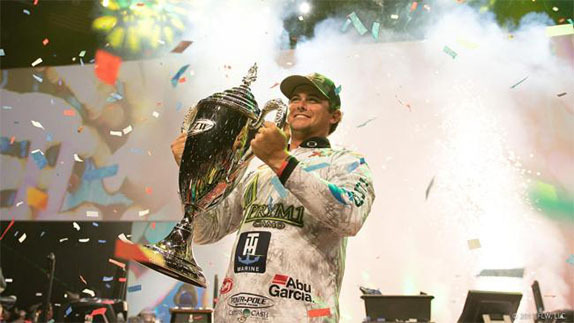 Nine years ago, a wide-eyed 18-year-old named Justin Atkins sat inside Colonial Life Arena in Columbia, S.C., and watched Michael Bennett win the 2008 Forrest Wood Cup with bass caught at Lake Murray. Last August, Atkins rode around Wheeler Lake at the Cup, watching the competitors pick apart the lake, all the while wondering and wishing and dreaming about the day he�d get the chance to be in their shoes. Wonder and wish no more. Atkins� opportunity arrived this week, way faster than he could have ever imagined and today, inside the same building where Bennett won $1 million, Atkins carved out his own spot in Forrest Wood Cup lore with a tournament-best 22-01 bag that helped him overtake roommate Brandon Cobb and hold off fellow Cup rookie Travis Fox to win with an eye-popping 3-day total of 59-04.
Who knows, maybe the 2027 Cup winner was somewhere in the crowd today at a packed Colonial Life Arena, watching Atkins calmly capture FLW�s top prize with a massive mid-summer weight that took everyone by surprise. Atkins is the third Tour rookie to win the Cup and is the fourth-youngest champion in the event�s 21-year history at 27 years old. His winning weight this week (this was the first time the Cup was a 3-day event) exceeded all but three of the previous 4-day versions of the Cup. �It�s hard to put it into words,� Atkins said. �I�ve looked up to these guys a long time. I�ve dreamed about getting to be here. To win it is unbelievable. Fox, an eight-year Tour pro who qualified for his first Cup through the FLW Series Championship last fall and opted not to compete on Tour in 2017, made an incredible final-day charge with 21-11 to finish 2nd with 56-11. Cobb, the leader after day 2, slipped to 3rd after catching just four fish for 15-10 and finished with 54-10. 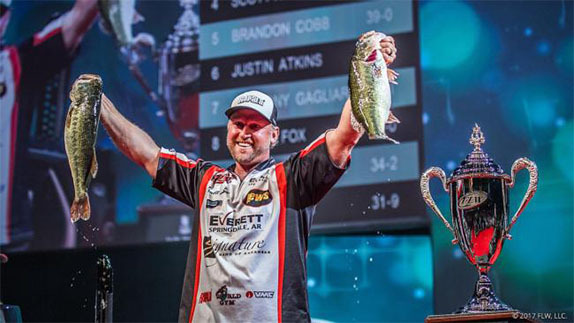 Reigning Angler of the Year Bryan Thrift sacked 18-02 and wound up 4th for the second straight year with 51-05. Anthony Gagliardi, the 2014 Cup winner at Murray and odds-on favorite this week, struggled early, but managed 15-02 to slip two spots to 5th with 51-03, one ounce more than his 4-day winning weight in 2014. In a tournament that blew away the most optimistic of weight predictions, this Cup will be remembered for the return of pencil popper-style baits as topwater fishing dominated this event like no other and Atkins was happy to lead the way. He relied on his Humminbird electronics to dissect manmade clumps of bamboo cane (vertical brush piles) from Bear Creek all the way to the southeast corner of the lake. Once he learned how the fish positioned in and around the cover, he used a chrome IMA Lures Little Stik 135 to call fish to the surface and to imitate herring that passed through the areas. 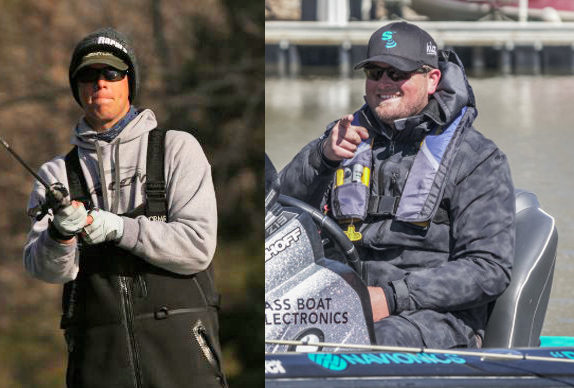 Atkins, a former Bassmaster Weekend Series champion, whose pathway to the Tour was cleared this year solely because he�s a Ranger owner, joins close friend and Bassmaster Classic winner Jordan Lee as the current title holders of the sport�s two marquee events. It�s the first time since 2006 that the reigning Classic and Cup champions are both under 30 years old. Lee was 25 when he won the Classic last March. Today�s conditions more resembled Saturday�s than Friday�s and there was a good spell during the morning when there was little to no breeze. That forced some of the finalists to go to backup plans, like up the Saluda River, but cloud cover in the afternoon seemed to re-activate the topwater patterns that most relied on all tournament. It�s been quite a year for Atkins, who collected five money finishes during his rookie season on Tour, including two top-10s. 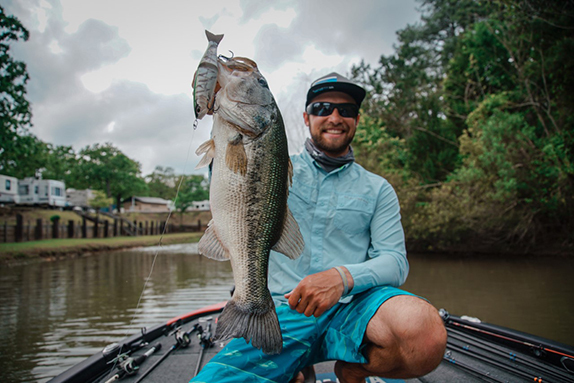 In early June, he finished 3rd at the BFL All-American and got married later that month. The Cup victory is just the icing on the cake. The first couple of cane piles Atkins fished this morning yielded nothing, which was surprising to him. He idled over them to get a better grasp of how the fish were setting up and he could tell they were holding tight to the cane stalks. Then his situation improved immensely. Not long after, he boated another 5-pounder to set the tone for the day. He said checking that first spot with his electronics was the key to getting dialed in on other spots the rest of the day. He finished out his limit and made his final upgrade around 1 p.m. to push past the 22-pound mark, giving him two 20-pound bags in the tournament. 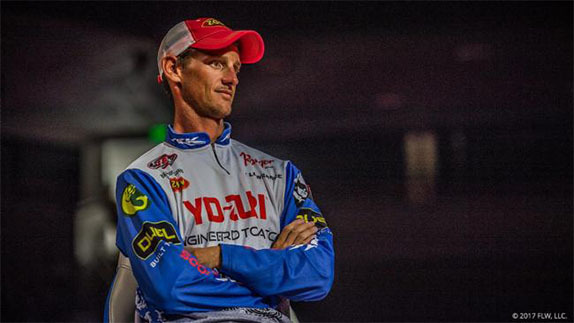 Travis Fox would like to return to the FLW Tour next season. A critical element to his success as the tournament played out was how he deftly managed his group of spectators. He moved upwards to 10 to 20 times a day, but he was careful in how he approached the spot he was heading to, knowing an armada of boats would follow. Fox nailed down his career-best finish in a multi-day tournament by making a key adjustment today that produced his biggest fish of the event. Using a retrieve that saw him let the spoon fall for a couple seconds then rip it up in the water column, he caught a 6-pounder, but also lost two good ones on it. Fox had registered to compete on the Tour this year. His deposits were paid as well, but once he realized the two February tournaments would force him away from his firearms sales business during a busy time of year, he opted to back away from the Tour. He hopes to return possibly as soon as next year. Brandon Cobb came in one fish short of a limit today. A combination of spectator boat traffic and some bad luck conspired against Cobb today. 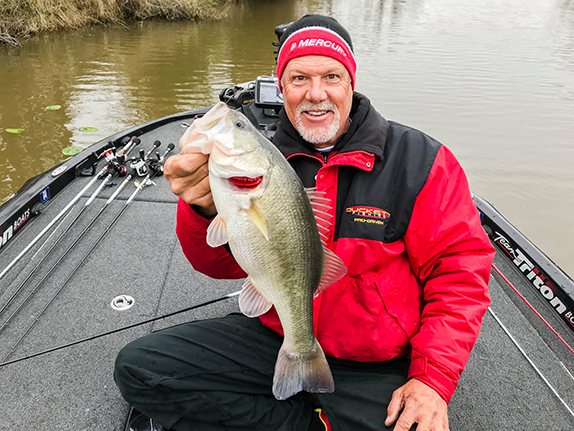 He had the bites to possibly hold off Atkins, but lost several key fish, including one he said was a 4-pounder in the final hour. The impact of the spectator traffic was something he admits he wasn�t prepared to deal with. As the leader heading out on the final day, he had at least two dozen boats chasing him initially this morning and that number fluctuated through the day. �I knew I would have a lot of people follow me, but there were more than I ever thought,� he said. �A lot of them weren�t real courteous. I had a hard time going back to places. I�d been running to pretty much the same places over and over until they bite. All of his fish were caught on a walking bait or a soft-plastic jerkbait worked just under the surface in areas where fish were relating to herring or cane piles. Thrift stayed with what he�d been doing the first two days, which was targeting fish relating to herring on points in the morning, then probing brush piles later on. His only regret was not putting more stock in the herring fish. He figured it wouldn�t hold up considering the time of year. �I shouldn't have underestimated those herring fish as much as I did,� he said. �Usually, they�re not this big of a factor in August, at least not like they were this week. You usually can�t piece together three days of it. I did it a little bit, but it was ridiculous. Bryan Thrift shows off his day-3 kicker at the Forrest Wood Cup. Nobody in the field had more options of where and what to fish at Murray than Gagliardi, but he was kicking himself for sticking with one spot too long this morning and not devoting more time to cane piles in general. �Over the next hour, I had 12 to 15 bites, all on the D Shad,� he added. > Day 2 stats � 10 anglers, 6 limits, 2 fours, 1 two, 1 one. > FLW announced the attendance at this year�s Cup (weigh-in and Expo combined) was 68,315. Next year�s Cup will be at Lake Ouachita with Hot Springs, Ark., serving as the host city.